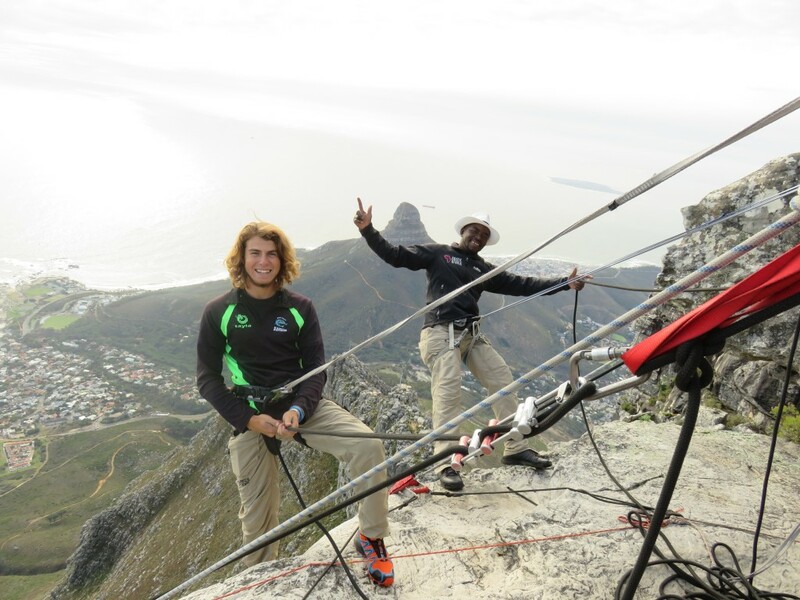 Read below about how Caroline, a junior from Wake Forest University, is boldly breaking through personal boundaries and pushing her limits in Cape Town! For as long as I can remember, traveling the world has always been my dream. Even as a little kid, I would tell people I wanted to be a “world traveller” when I grew up (after my Disney princess phase, of course). I have always felt this yearning for the chance to venture out and explore on my own, and Go Global has finally given me the opportunity to do this. After just four days in Cape Town, I have already been exposed to a vibrant culture, lots of amazing food, many incredible people, and so many unforgettable stories to tell when I go home to Chicago. One thing I never expected to do on one of my trips was to abseil off of the world’s highest commercial abseil, which is exactly what I did today. I signed up for this adventure without giving it a second thought, and also without knowing what it even was, which I’m sure my parents would be thrilled to hear. For those who, like me, had no idea what abseiling was before today, it is basically walking yourself down the side of a vertical drop on a mountain while gradually letting yourself loose with a rope. In my head, it didn’t sound too terrifying. However, just hours ago, I found myself standing at the edge of a drop-off at the top of Table Mountain wondering what the heck I was doing. I stood there barely listening to the 20 year old Cape Town locals who worked at the abseil company cracking jokes and laughing at how much I was uncontrollably shaking, and I thought there was no way I was stepping backwards off the cliff, just holding onto a rope. True, I was wearing a harness, had one of the workers holding me as backup, and had my weight supported by three separate bolts that together, could support multiple tons, but at a moment like this, I felt no reassurance. Finally, I snapped back into focus and realized I just needed to go for it, so I took my first few baby steps and discovered that it wasn’t too bad once you were past the edge. Then, I actually started having fun. Granted I was still shaking and sweating a little too excessively to be normal, but I was laughing and genuinely enjoying myself. I always understand the importance of pushing myself and breaking out of my comfort zone, but now I can truly say that I did just that in a very extreme way. This entire trip has not only involved me being able to fulfill my lifelong dream of exploring the world, but it has also forced me to push myself both mentally and physically in ways I never imagined possible. And because of that, all of the fears and nerves (and possible full mental breakdown) were completely worth it.